For a full list of our tools available for you to download, click here! Walkers! 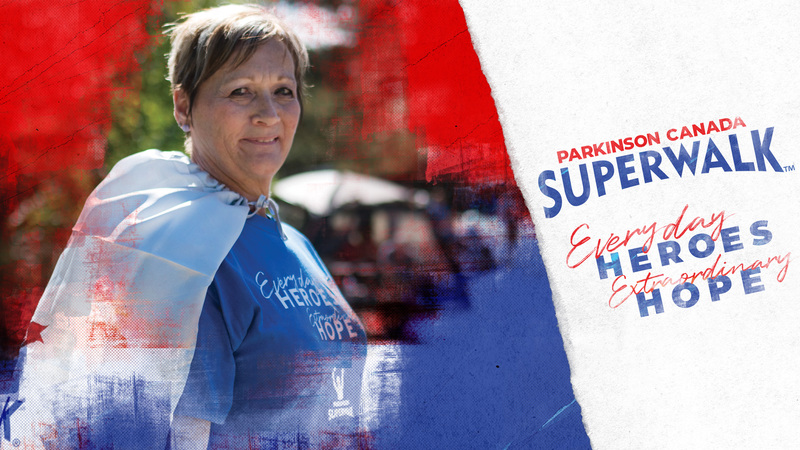 Use this form to collect the information from donor who pledge to support your SuperWalk! Want to promote Parkinson Canada SuperWalk in your office, school, or community? Download this customizable poster and display it proudly! Want to let people online know all about your fundraising efforts and Parkinson Canada SuperWalk? Try out these handy tools for quick posts across social media platforms. We are here to support your fundraising success! Specifically, Alejandro Alas, our Online Fundraising Concierge is here to help as part of a committed team working on Parkinson Canada SuperWalk. You can reach him by email at superwalk@parkinson.ca; phone at 800-565-3000 (extension 3392) and by using the chat button found on the lower left hand corner of your screen. Alejandro receives questions from all parts of the country on a variety of subjects, and he's always there to help. Perhaps the easiest question is: what should people do if they're looking for help or information? Call me! At 800-565-3000 ext. 3392, or send an email to alejandro.alas@parkinson.ca, I'm by the phone 8-4PM; Eastern Time and monitor my email inbox regularly. If I miss your call, you can count on a call back. I find the range of questions that come in interesting... some are very technical, while some are just looking for information, and others still want to know about the value of their donation. Just remember I'm only a phone call away. For a detailed walk through, check out our fundraising tips page which will help with getting started, and managing your full campaign. Check out our Help Videos and more below. Here are some great tips to help you to fundraise for Parkinson SuperWalk. For more tips, download our handy guide here.